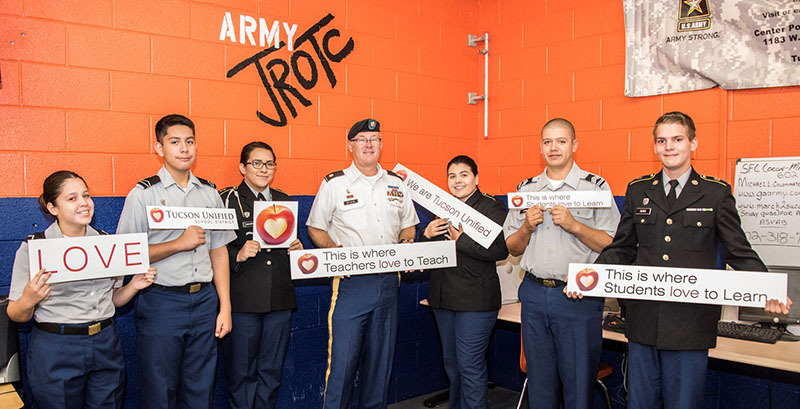 Members of Cholla High School's JROTC take pride in their work with the Army. The Army Junior Reserve Officer Training Corps program focuses on character education, student achievement, wellness, leadership and diversity. The JROTC program teaches students to act with integrity and personal accountability, engage in civic and social concerns, graduate prepared for college and careers, make decisions to promote positive social emotional and physical health and value the role of the military and other service organizations. We are proud to feature Cholla's JROTC program in #TeamTUSD!